Home Services "Peace of Mind"
Today's families face many challenges as they strive to juggle children, work, home and, in many cases, the responsibilities for aging parents. We can help you keep loved ones at home, where they want to be, while enabling you to retain balance in your life. 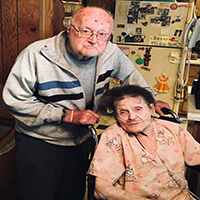 Our Home Service Aides provide families/caregivers peace of mind and the ability to continue working and caring for family and home knowing their loved one is receiving personal care by trained staff. 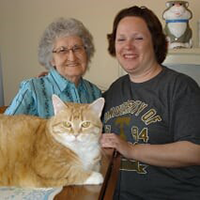 Our Aides assist with social, physical and mental needs within the comfort and security of the clients own home. All Aides are extensively screened, background checked, finger printed and receive 24 hours of mandatory pre-service training. We offer a professional and compassionate level of personal care for adults who need as little as 2 hours of assistance a week to 24/7 care. Serving DeKalb, Kane, Kendall and LaSalle Counties since 1972. Our office is open Monday through Friday from 8 a.m. to 4 p.m.